For those of you who aren’t familiar with the phrase “Wee Squat” I’d like for you to meet Iris. She’s my bi-eyed, bat-eared, spotty, squatty dog. I have lots of nicknames for her, such as Wee Vittie, Stump-o-lina, Tomato Thief, Stumpy MacSquat, Vittie-V, Iris the Viris, and The PoopVac (yes, she’s disgusting…she loves to eat dog poop). Iris is our Cardigan Welsh corgie and she’s five years old. Sam bought her for me as a Valentine’s Day present in 2005. To this day she’s been the best present I’ve ever received. She is my ‘dream dog’ and she’s lived up to my expectations splendidly. She’s a marvelous watch dog. She’s very comical. She’s a herding dog and loves to nip at your heels and the back of your legs as you’re walking. She’s quite moody at times and gets really grouchy when Guinness won’t leave her alone. She really doesn’t like children and will growl and snap at them if they come too close to her. She’s bossy and short and fat…she kind of reminds me of………well, me if you must know! And I love her more than my laptop. Today she had to go to the vet though. She wasn’t very happy with me. They poked and prodded and flexed and twisted and walked her all around the office. They weighed her and took her temperature too. And if you’ve ever seen a dog getting its temperature taken you know that they don’t have some fancy-dancy inner-ear thermometer. Nope, they do it the old fashioned way….I think I’d be a little cranky after that too! In the end they had to take some x-rays, and they decided that she is just full of poop. 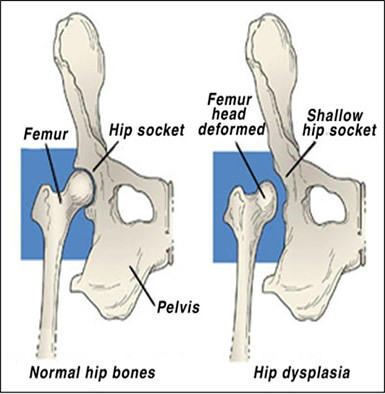 Not really……well, actually she is, but more importantly she is beginning to developing a disease that will cause her hips to luxate – that means to dislocate from the hip socket – it’s akin to hip dysplasia (but not HP). My poor girl. Fortunately, we’ve caught it in time and we will begin a course of joint health supplements (glucosamine condroitin) and change her diet a bit so she gets more Omega 3 and Omega 6 fatty acids. At some point she may have to have medical intervention, but hopefully that will be many years down the road. For the next few weeks while we regulate her diet and manager her pain, it’s plenty of rest and reduced exercise (yeah right…that’s like telling a hyperactive child they have a chance at winning the Quiet Game). And of course I’ll continue to spoil her rotten with lots of extra love and pampering! Goals?! Do people really reach them?